When people think of the Rockies, they usually think of two things: epic accumulations of snowfall during the winter, and epic accumulations of ERA during the summer. Replacing mile high homers with bombs of fun: Vail Cascade. Situated 8,150 feet above sea level, the Cascade's a spacious, fireplace-laden rustic lodge whose proximity to all manner o' mountainous mayhem is juxtaposed by relaxing amenities, highlighted by a pair of heated outdoor swimming pools/three hot tubs nestled among towering greenery, though sadly not the kind that'll leave you like a certain John Denver song. That's right...Country Roads! To get your blood pumping there's paragliding over the White River National Forest, whitewater rafting down the Colorado & Arkansas rivers, and of course mountain biking, though they'll haul you to the top if you're "strictly downhill" (a phrase that at this point also applies to your life). 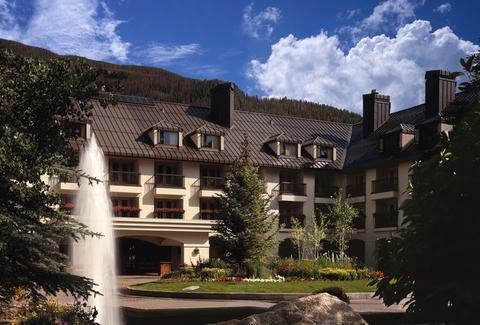 Less injury-inducing endeavors, meanwhile, include organized sportage (tennis/racquetball/hoops), 7,000-plus yards of golf at the adjacent Vail Golf Club, and fly fishing in nearby Gore Creek, where off target anglers risk hooking an Inconvenient Moose. Mention Thrillist when booking and you'll get a room stocked with legendary Colorado microbrews, gratis rides into town for nightlife action, and a third night for the price of two, a .333 discount that's also a figure you may recognize as anyone's Coors Field batting average.